D.L. Smith’s first book “Oscar” is full of vibrant imagery and is an engrossing family book that will be loved by children and parents alike. New book “Oscar” from Page Publishing author D.L. Smith is a wonderfully crafted work of fiction, written from the point-of-view of the main character Oscar, a Border Collie with quite the adventure planned for him right from the beginning. D.L. Smith, a software engineer and seasoned traveler, has completed his first book “Oscar”: a heartwarming and adventurous romp through the eyes of the main character Oscar, a Border Collie that has to make it amongst the elements with his four siblings. Published by New York City-based Page Publishing, D.L. Smith’s poignant tale is a gripping and potent mix of deception, heart break, self-realization, and the pulse pounding power of love. 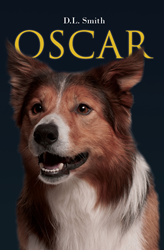 “Oscar” is a heartwarming story of a dog that even humans can relate to. Even when he was still a pup, Oscar has already experienced a lot of difficulties in his life. When he was still a newborn, he and his other siblings were thrown out in the snow. It was a blessing and a miracle when a little girl named Debbie found him and took him home. He was welcomed with open arms in Debbie’s family, and he grew up and spent his life with them. However, though he was loved and accepted by Debbie’s family, Oscar still felt incomplete and wanted to find his mother. Amidst all the challenges he experienced, including two life-threatening ones, Oscar remained virtuous and strong against all storms that life may bring. A story narrated by a dog, experienced by a dog, but filled with valuable lessons a human can uphold and treasure, “Oscar” is definitely a must read. Readers who wish to experience this inspiring work can purchase “Oscar” at bookstores everywhere, or online at the Apple iTunes store, Amazon, Google Play or Barnes and Noble.